Chippewa Park is just north of Brandon on County Highway 7 approximately 3 miles to County Road 108. Go west on 108 approximately 1 mile to the park entrance. 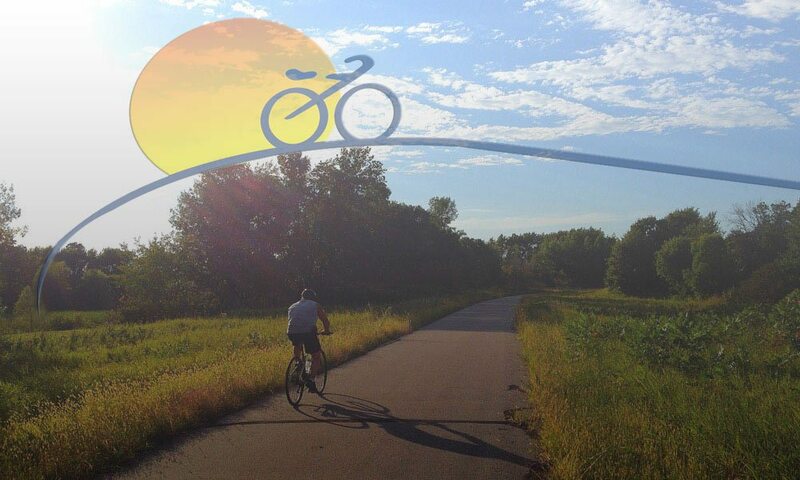 4 foot paved shoulders on both sides to CR 7 connect to the Central Lakes State Trail in Brandon. The highway is signed as a Bicycle Route. A visit to Chippewa Park will tell you why people have been drawn to the place across the years. 2000 feet of shoreline of Little Chippewa Lake and twice that on Devils Lake are probably reason enough. Couple that with the unusual land form, a narrow isthmus 300 feet wide and about 2 feet above the lake level, and you have a perfect place to spend a hot summer day. Chippewa Park is the only county park that supports camping. There are 15 developed tent sites and a shower building for campers to use. The fee is $15.00 per night. The park is 37.25 acres and has very nice facilities for small or large group picnics. It is a popular swimming and fishing spot as well.